A friend referred me to your website pertaining to The Sand Pebbles. I am amazed at the amount of information it contains. You've done a great job! Two years ago, my book, Robert Wise: The Motion Pictures, was published. I had the opportunity to interview two people who spent a significant amount of time on the set of the film: Neile Adams McQueen and Gavin MacLeod. In fact, Mr. MacLeod contributed the book's foreword. I am happy to have just discovered The Sand Pebbles website, and I am very impressed with the thoroughness and detail of the contents. I expect to spend many hours exploring the info. As a high school student, I worked at the Wilshire Theater theater in Dallas during The Sand Pebbles reserved seat roadshow run there. I discovered the website while searching hoping to find out how long it played in that theater. I seem to remember it running for at least 27 weeks, but I think it was even longer. Needless to say, the other employees and I saw the entire movie so many times we could almost recite every line, from "Got orders?" to "What the hell happened?" It is an epic film that deserves to be honored even today, more than fifty years later. Thank you so much for your efforts. Congratulations on an excellent website. I wrote you once before many years ago on a minor item. I thought you might find the information below of interest. By the way, all the following has been found in trolling the Internet. I have no first hand knowledge nor any contacts even remotely connected to the movie. Also, while trolling elsewhere, I happened upon the following article from the South China Morning Post written in 2016 commemorating the film's 50th anniversary. I know it may be one of many such commemorations but, well, it's the South China Morning Post(!) I think you may find it an entertaining and interesting read. Many thanks for a great site in support of the most iconic movie of its genre. Here they would get into costume/make up etc...so can you ask your message board if anyone knew where the ‘Crowd Base’ was located, please? Subject: Re: Bade Pond Ecological Park - thank you! Thank you for posting my thread. 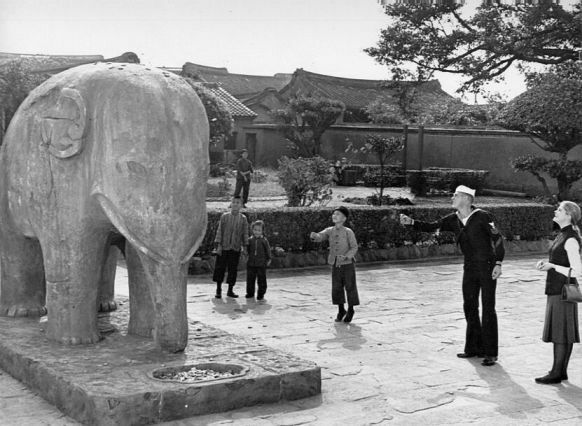 James K Smith will need to look at my updated website as the ‘elephant sculpture’ scene was found via Facebook Group: ‘Remembering Taiwan’ and is at Ben-Yuan Lin Family Mansion And Gardens at 9, Ximen Street before he visits Taiwan in April 2018!! Great TSP index and message board archive. 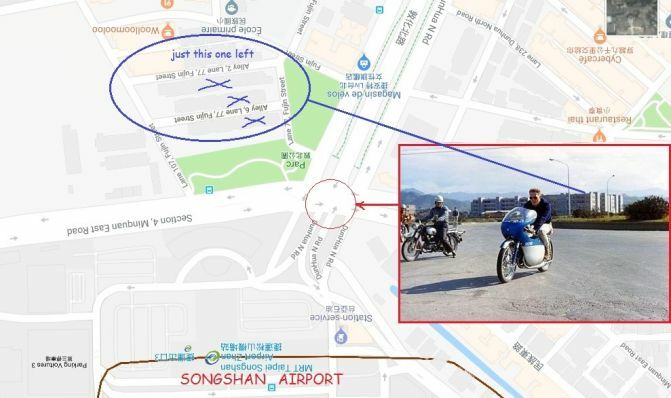 I grew up as an American ex-pat on Taiwan 1971-1979 and toured many of the location filmed in and around Tamshui throughout my stay. I was never able to locate the large stone elephant that Holman and Miss Eckert visit while spending time together. Any insight you have on that scene would be appreciated as I am revisiting Taiwan in April. As luck would have it this same question was posed by Don Whistance. Can you ask on your superb message board forum about the ‘elephant sculpture’ scene, please? If anyone has information related to the elephant statue featured in the movie please let me know. Subject: Location of this scene too, please! Sorry I can't answer definitively. Most likely answer is Taipei City in Taiwan. I would guess either Bade Pond or Taipei Botanical Garden. Hello, I am Christian with Friends of Steve McQueen Car show at Boys Republic in Chino Hills, CA. We put on a car show every year and title it after one of McQueen's movies, this year is the Sand Pebbles, it is June 4th 2017 with the dinner the night before on the 3rd. The Event is to raise funds for Boys Republic which Steve attended, Chad (Steve's son) chairs the event, this year we have added ships, steam and electric. I have managed to get the static display replica of the San Pablo from SS Lane Victory, I would like to have a working model of one also. Are you aware of one in southern California? If so can you forward my info to them or I can contact them. Is it possible for you also to put this event out on your website? Might be a few people interested in going. Last year we had just over 10,000 in attendence. It all looks wonderful, thank you very much! Other material on "The Sand Pebbles" I have includes a 40" x 6" Banner (with the Title and Outline of the San Pablo), a Complete U.S. (European printed) 16" x 20" Deluxe Photobusta Set, and the Deluxe 11" x 14" Set of 16 Cards. If there is anything above you would like to add to your wonderful "Sand Pebbles" site please let me know and I'll have it scanned and send it to you. All else I have, including the NYC Subway poster, the U.S. 60" x 40" poster, the U.S. 3-Sheet poster, the "Sounds of the Making a Motion Picture" LP, etc, you seem to have. 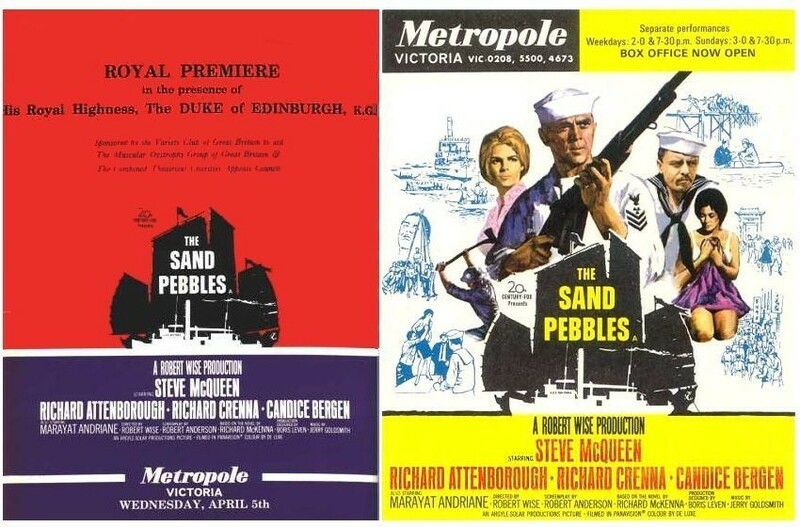 The Sand Pebbles premiered in a 70MM Roadshow engagement in Australia at The Esquire Theatre in Melbourne on Thursday the 13th of July, 1967, and ran until Wednesday the 1st of November, 1967. It then followed, in a slightly shorter non Roadshow version, into suburban, country and Drive-In Theatres. You may also be interested to know that I worked with Richard Attenborough back around 1972 on the Australian national premiere of "Young Winston," and that I have fond memories of him telling me stories on the making of "The Sand Pebbles" and his friendship with Steve McQueen, etc. Back then "The Sand Pebbles" was still very fresh in my memory, it was still doing the rounds and rereleases. He also spoke about "The Great Escape," "Doctor Dolittle" and "10 Rillington Place" (which I also worked on here). When I get a moment I will write it down and send it over also. I hope this finds you well and very best of wishes for the New Year! My sincere apologies for the delay in getting back to you, I have finally been able to have THE SAND PEBBLES material scanned and it is ready to send through to you. As I previously mentioned, I was starting out in the industry here as an assistant publicist for Fox back in the '60s and I remember the release of THE SAND PEBBLES very well, I worked on many hundreds of films over the years and THE SAND PEBBLES remains one of my all time favourites. Please let me know if it is okay to send you the images on this email address. I have put the details on every image, including page numbers for the British Pressbook. I will also send you the original release details and dates of THE SAND PEBBLES, it was a big 70MM release. I have recommended your spectacular website on my radio shows around Australia numerous time and have had an outstanding response every time. Thank you again Crispin and I hope you like the material when I send it through. Response - Thank you so much. A new section incorporating these materials has been created on the website - click here. 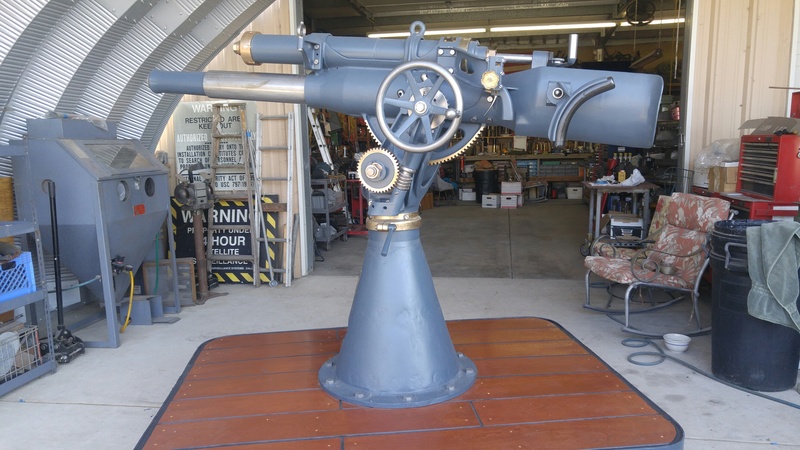 I am not sure this is the place to be but I wanted to show a couple of pictures of the 1918 3" deck gun that I restored. It is the same model that is mounted on the bow of the San Pablo (?) used in the movie. Might be handy for anyone trying to reproduce an accurate model of the boat. 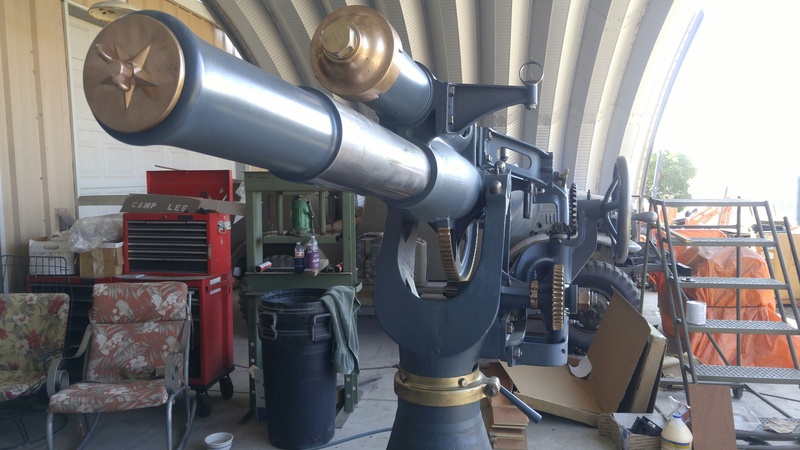 The gun came from a friend of mine that had collected cannons since WWII. When he passed away I was able to broker a deal for the estate dispersing the collection. As a commission I picked this very unique gun. With a little bit of research I found that this model was used in the movie. I will display it at various military meets but otherwise will keep it at my home. Keep in mind this is only a hobby but it also my addiction. Helps to keep our history alive. Wow! What an amazing restoration. I appreciate the time you took to share your story, these pictures and thinking of the Sand Pebbles website. Dear Sir: In 1967 with my family we visited the Fox Studios in California. And on one of the back lots we were told a small ship berthed in a lagoon there was a model of the San Pablo. I am attaching a picture which I took while there. Can you identify this hull as being associated with that picture ( The Sand Pebbles)? May I look forward to your reply? Thank you for the interesting photo. I have attached a link to a photo of the actual San Pablo in construction. The model you enjoyed and photographed is a mediocre approximation of the actual ship. The San Pablo had one smoke stack not two. There is no such number as 322 for a Navy gunboat. However that said the model you viewed is an interesting curiosity. My name is Mauricio Arbul�, I am from Lima, Per�, South America. I am a great fan of the film "The Sand Pebbles" and I've visited your website and it is awesome! The best of the film is the romance between Jake Holman and Shirley Eckhert. In your opinion Cris, Do you think that Jake was really in love with Shirley? I am asking you this because Jake says to Shirley in the kiss scene that things work out between them. Well, I am glad to get to know you by this way and I am waiting for your answer. I saw Sand Pebbles in 1967. I made up my mind while I was watching it that I was going to join the Navy. Does anyone remember what Chief.Wellbeck's rating was? I think he was a Quartermaster which is a job that requires skills navigation and visual communication (semaphore flashpoint and flashing light). I return to your site time and again, and just last night (January 28, 2015) I sat back and consumed the TCM presentation of "The Sand Pebbles." I saw the roadshow version in Detroit (twice), at the Music Hall Theater (where a steady parade of Cinerama releases preceded this premiere, and where the curved Cinerama screen was still in place), and from what I gathered at your site, I was the beneficiary of the fabled test audience print that found its way to Detroit. It is amusing to me that Richard Schickel and other reviewers of that period, found the film too long, especially in an era when DeMille and Lean and Stevens, among others, had told their stories without apparent concern for elapsed time. It seemed to me that a roadshow feature was always a richer experience for the time it took for the story to unfold to those in reserved seats. But that's me. My question is about the upcoming 50th anniversary of the film, and if you have heard anything about a new theatrical print and release in 2016? Thank you for your “The Sand Pebbles” web site. I just came across it to-day after viewing the film yesterday evening here in New York on Turner Classic Movies. It must have been the cut version because it was just a little over three hours,unusual for Turner Classic Movies,at least I believe so,because they are supposed to transmit uncut films. Anyway back in either 2008 or 2009 I saw a 70 millimeter print at the great art house cinema of Manhattan, The Walter Reade Theater. Would this have been the one hundred ninety-six minute version, now called Roadshow? Anyway,magnificent on the big screen. One important question: I discovered about ten minutes ago on the Internet Movie Database that a print was submitted to the United Kingdom which ran four hours and three minutes (4 hours 3 minutes = 243 minutes). It was submitted to the British Board Of Film Classification formerly British Board Of Film Censors at this cut. Does this exist? Did the censors actually in this case with the complicity of Twentieth Century Fox cut 1 hour and 14 minutes (74 minutes) of film which was intended for Britain and perhaps other European countries? What do you know of this artistic tragedy,all too often destruction of a cinema creation,which is now occurring sadly,and has been for years in literature? Once again,very grateful for your site. Thank you, Webmaster, for an excellent, EXcellent compilation job on your Sand Pebbles site! I've been wanting to drop you a line for some time just to let you know just how much the site is actually appreciated. It has now developed into a treasure trove of data and relevant info for all of us "Sand Pebbles" on the outside looking in, and I daresay you might be quite surprised to find out just how many of us there are out here who just loved the film. Please come check us out on our full FB page at "The Sand Pebbles Appreciation Society", at https://www.facebook.com/groups/2231453728/ -- if you're not already one of the group members. Just thought you should know we are indeed out here --so come on over and join us so we can welcome you aboard! We exchanged emails years ago and I often think about my day aboard the SP. Steve's son was just a small boy then, and now the son's son just recently appeared in a TV movie. I will be turning 87 in a few months and that day on the San Pablo was a highlight of my career. I was stationed at Taipei in the USAF in 1965 and 1966 when The Sand Pebbles was filmed. The cast and crew of the movie could regularly be seen in our NCO clubs and the Officers club. I remember seeing Steve McQueen and his wife at the Navy Club one night and once I actually sat with my back to Steve McQueen's back. All the top cast members were eating at Club 63 that night. It was quite a thrill to be in the same room as those guys, especially Steve McQueen. I just wish I had taken pictures but did not. Steve McQueen's stand-in became quite a regular at Club 63. For several Sundays he would come to the club and show us outtakes of his movies and talk about his various movie rolls. He was quite interesting and was a very likable person. I remember several of the GIs, especially the sailors, taking leave to be extras in the movie. By the time it came out I had been discharged from the USAF and went to see it as soon as it opened. I was not disappointed. I have seen it several times since and it is one of my favorite movies. This is my personal memory of a special event that happened in a very special time in my life. I saw this movie for the first time while I was in the Navy in 1967 or 1968. As I remember it the opening scene was a sunrise in Shanghai harbor and the music got louder as the sun rose and the harbor came to life. I rented the DVD version and that wasn’t the opening scene. Did the movie get changed? It has been a lot of years so perhaps I am mistaken and that scene was from another movie. Response - Richard, you may have been fortunate enough to have seen the audience test cut version of this film. I can't say for sure. Good web site. I just finished reading the book and it has been one of my favorite movies. I have been working on a legacy project for Tom Jung and came across the - It is one of my favorite from the film and is very unique - Both the Tom Jung artwork and the Howard Terpning art are shown but in separate parts of the poster.......To me it seems that combining the two together was a bit problematic. In any case just thought that it might belong up on the website - Which is fantastic by the way! The only thing I would like to see added is where this music can be bought and down loaded. Again, a very well done web page!! I keep coming back to your site as one who must have seen the 200 minute roadshow engagement print at the Music Hall theater in Detroit. I too recall the DINNER WITH SHIRLEY scene, but I remember quite vividly a still from that scene , not among the Italian lobby cards, but on the back cover of the paperback edition of the novel released to coincide with the film. I had cut it out and taped it to the inside of my school locker at one point in time. Nice job with this website. Hope you are well and having a great Holiday Season! Just in case you didn't know Intrada Records has just released Goldsmith's great score to TSP. The Varese release is sold out and out of print (except for Ebay!!!!). Thus, this is a chance for new 'fan's to purchase the score at a reasonable cost. 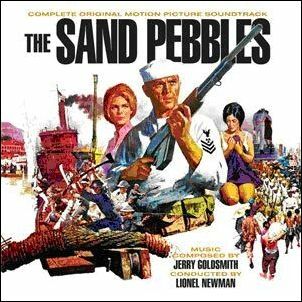 The 1966 20th Century Fox film The Sand Pebbles features one of Jerry Goldsmith's most significant scores. Just five years into his film career and already a double Academy-award nominee, the opportunity came to him as "an accident" when Alex North dropped out. Goldsmith was slated to score MGM's Grand Prix, but Fox stole him away. Goldsmith constructed his score around two love themes one "American" (which became a much-recorded popular song with lyrics by Leslie Bricusse, "And We Were Lovers") and one "Chinese." In addition to the strong love themes, Goldsmith crafted a score featuring a dramatic infusion of military, action, and Asian influences, leading to a powerful work that remains one of his finest, even considering the decades of Goldsmith's film scoring that succeeded it. Intrada presents the definitive release of The Sand Pebbles, including alternates in this comprehensive 2-CD set. 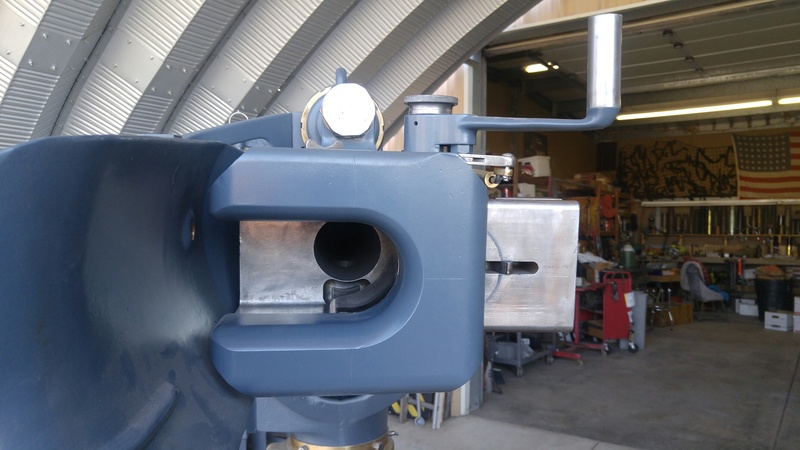 The process of this restoration began with recalling the 2 24-track protection masters made from the original 35mm multi-track magnetic elements in the 1990s. Retransferred at 96k/24 bit resolution, this facilitated the repair of each separate track of audio and the finessing of balance, equalization and stereo steering to bring out the dynamic brilliance of the Fox scoring stage and the studio orchestra's consummate performance under the exacting baton of Lionel Newman. The original 1966 album master thankfully provided a stereo version of the cue "Repel Boarders," which survived in the Fox material only as a monaural dub. Previously unreleased cues fill out the first-ever complete presentation of the score on Disc 1, while a second disc features album versions, alternates and six pieces of period source music recorded for the film. The Sand Pebbles tells the story of Jake Holman's (Steve McQueen) service on board the San Pablo, an American gunboat patrolling the Yangtze River in 1926, during a time in which China was "ravaged from within by corrupt warlords, oppressed from without by the great world powers, a country of factions trying to unite to become a nation through revolution." You have a wonderful and informative site on The Sand Pebbles! I had a fun and intriguing time browsing through it! I was curious as to whether or not you had any additional information on Simon Oakland, who played Stawski? My friend Lucky Ladybug and I have an under-construction tribute website for Simon, but we've found that information and anecdotes are hard to come by. We were also curious as to whether or not you'd like to affiliate to our site. If not, could we get your permission to link to your site when we make our Links section? Thanks for the response Crispin. I heard about it after watching TSP on the Fox Movie Channel in an interview with someone whom I forget. This person indicated the alternate ending was filmed but not used which is why I thought it might exist and hoped to view someday. Do you know if a version exists which includes the deleted scenes? I didn't get to see all of it on Fox but did catch some of them and would like to see the beginning when Jake is on the USS Texas. Sounds like your information indicates this was rumor only and Jake shall forever remain in China! Response - While I still think the person stating that an alternate ending was shot is hearsay I am not the definitive expert on the film since I've never had access to the movie files which are maintained at the UCLA Film and Television Archive department in California. I am just going by everything I've ever heard or read about the film's production. The China Light ending was shot at the Fox Ranch in Malibu and were some of the final scenes to be filmed. Seeing is believing and other than the person you mentioned no one else I know has seen this alternate ending. If you own the 2007 DVD 2-disc set which contains the theatrical and roadshow versions then you have all of the scenes presently available to the public. The scenes deleted from the 200 minute audience test version (if they still exist and were not destroyed) should be in the archive vaults at UCLA. This would include the missing USS Texas introduction scene. Thanks for writing back to let me know about the Fox person claiming an alternate ending was filmed. I am really pleased to have found your website and thank you. The Sand Pebbles is one of my favorite movies and I am particularly interested in the deleted scenes. I understand an ending was filmed where Jake Holman lives and makes it back to the ship (to appease Steve McQueen) but that is wasn't used to create a more powerful ending. Do you know if this alternate ending exists and is available to view? I would love to see it and think Jake at least lives one time when watching the movie! Response - Thanks for your kind words. The story of an alternate ending to the Sand Pebbles has circulated on the internet for many years possibly fueled by a passage in Casey St. Charnez’s book “The Complete Films of Steve McQueen”, Citadel Press 1992. In the past I’ve talked to a close personal aide to Robert Wise when he was living and there was never any discussion regarding an alternate ending created to please Steve McQueen. Although it is a known fact that McQueen was unhappy with the ending there was never any concession by Wise to alter the story as it would have been a discredit to the acclaimed novel the movie was based on. Wise would have been very firm on this particular point. I don’t expect our discussion here to stop the rumors of an alternate ending, people will believe what they like. Thanks for sharing the info with your readers. It seems I've since answered my next question, thanks again to your site. You have a video showing the San Pablo under construction, and it very clearly shows a shed marked "Cheoy Lee" in the background. 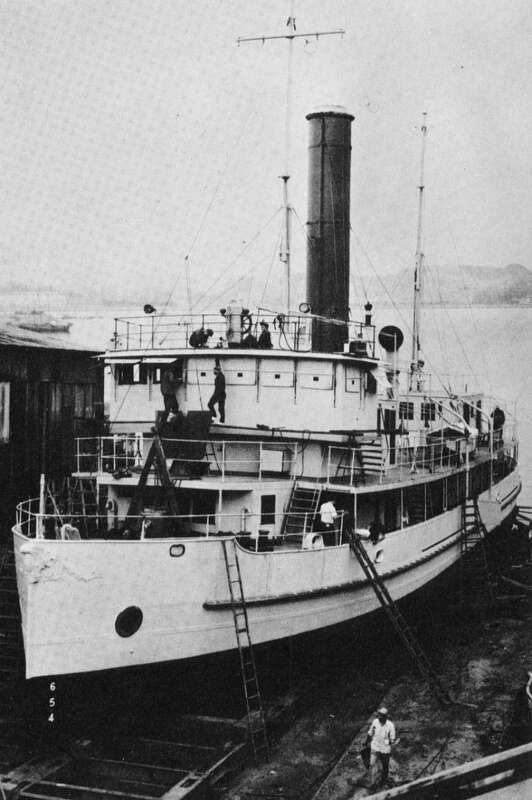 They're probably the best-known Hong Kong-based shipbuilder (http://www.cheoylee.com), established in 1870, and their yard was located in Penny's Bay, Lantau Island from the 1930s until 2001, when they moved their operations to mainland China. 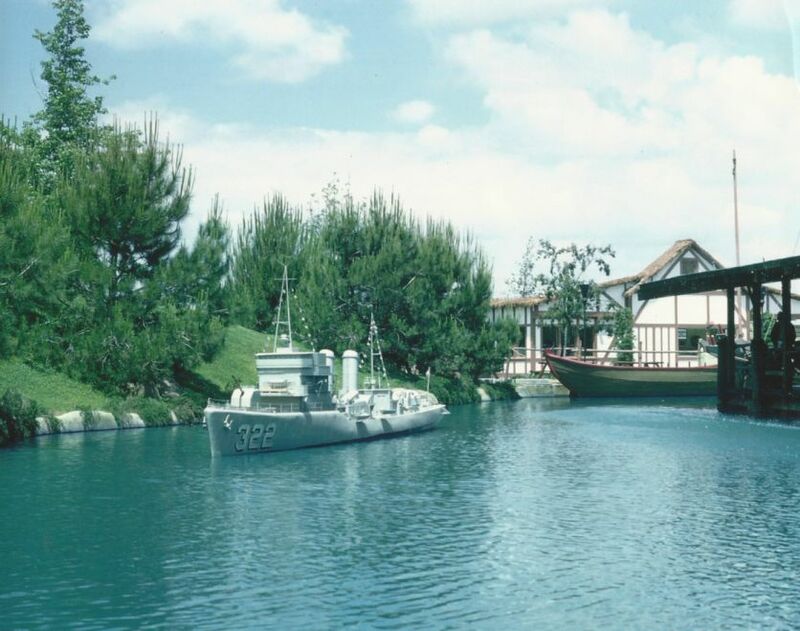 The Hong Kong Government purchased their yard, and after decontaminating the land, it was redeveloped to become Hong Kong Disneyland, so there's every chance the slipway on which San Pablo sat is now part of the Disney park. It might be interesting to contact Cheoy Lee themselves, or the members of their owners' association (http://www.cheoyleeassociation.com/), and see whether they can provide any further information on Vaughan and Yung, or the San Pablo's construction. The yard number mentioned in the video -- hull 287 -- might be helpful in that cause, although I don't *think* it's a Cheoy Lee yard number, as I've read that they started their numbering scheme in the 1940s, and were already beyond the thousand mark by the early 60s. The Sand Pebbles was a topic over a family dinner tonight, and a comment from my father-in-law launched me on a brief quest to learn more about the film, and the San Pablo. I quickly discovered your excellent site, which answered most of our questions, but also raised another. 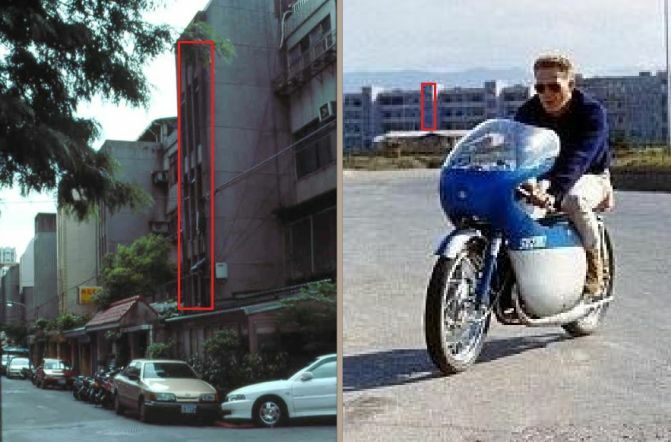 Way back in May 1999, a reader of your site by the name of "Navionflyr" posed the question -- what happened to "Vaughn & Jung Engineering Ltd.", the Hong Kong-based builder of the San Pablo prop. A quick Google, as it did for Navionflyr twelve years ago, turned up almost nothing. I grew up in Hong Kong myself, and had never heard of the company, but made a guess that the spelling was incorrect -- and it turned out to be the case. The company name was actually "VAUGHAN AND YUNG ENGINEERING COMPANY LIMITED", and according to a China-based corporate information website, they continued in business until June 13th, 1987. The site's in Chinese, but Google Translate does a pretty good job with it. I have just finished with the first phase of researching Richard McKenna's life. Would like to point out to anyone interested in the author of The Sand Pebbles the marvelous research material available at the library of the Richard McKenna Charter High School in Mountain Home, Idaho. The even have the shooting script for the movie, plus many other items and especially letters McKenna wrote. It is a treasure trove. Plus the library is a wonderful place to work. Thanks. Just in case you are interested. IMFdb is a website documenting the types of firearms used in movies, television, etc. Here is the link to the page for the Sand Pebbles. I'm one of the site moderators and did a lot of the work on this page. Response - A great resource for not only Sand Pebbles fans but for many other films as well. Thanks for sharing! My grandfather, Ralph Bringewatt has one speaking line (when on the dock as an evacuating American, he is asked "Where's Jameson" my grandfather answers "He wouldn't come."). [Click here for scene.] He and a number of my aunts and uncles appear as extras in two scenes. I'd love to know more about how Robert Wise chose the extras. My grandparents were Lutheran missionaries in Taiwan at the time of the movie and had no acting experience whatsoever. They enjoyed being in the movie and talked about it until they passed away some years ago. Response - That's a great story! I wish I could help more with the answer on how the extras were selected for the movie but unfortunately I can't. They were obviously well qualified for the roles. The answer may lie in the UCLA Film and Television Archives where most of the documentation regarding the film's production reside and something I do not have access to.